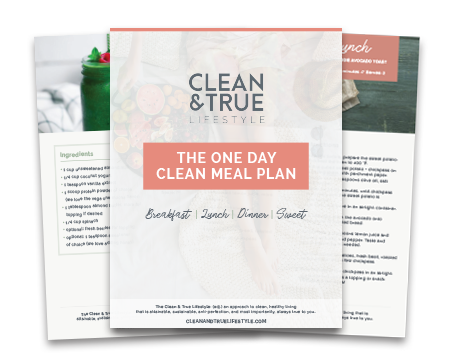 Clean & True was born out of my personalized approach to healthy living; it also happens to match my initials Charlene Louise Tierney, so that sealed the deal. There’s no denying that being healthy requires us to “clean things up.” To remove the foods that are filled with chemicals and additives, and to replace them with pure, clean, alive options that boost our vitality. It’s in this process of detoxifying and reducing inflammation, that we find which foods make us feel good and a revitalization that elevates our brain power, energy, and capacity for all we want to achieve in life. Truth isn’t fixed; it’s fluid and flexible. It can be designed, remade and reworked to fit every person’s way of life—yours and mine. Yet, it also requires us to get honest with ourselves. To tell the truth about our habits, to admit why we eat when we’re not really hungry, or to reveal our fear of making changes. Because, as we open up, as we become more self-aware, we also become more empowered and true to ourselves. 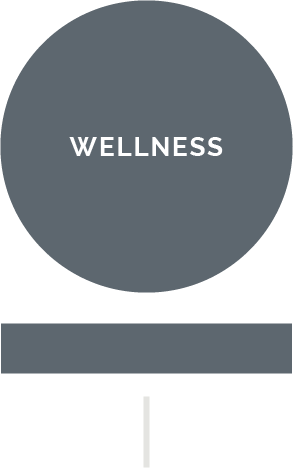 Together, Clean & True creates a space for you to explore what wellness means to you, and to find your own healthy balance with the core pillars of living well in mind. The essential food choices to make every day and why. Tips for bringing healthy choices and habits wherever you go. Self-care and mindset techniques to make you feel good. The way to make healthy feel fun, stylish, and personalized. While we all have our ideal vision about what a truly healthy lifestyle should look like, it’s important to keep in mind that it will never be perfect. You won’t always be able to eat organic produce. You won’t always get your salad without cheese. You won’t always skip the dessert or a glass of wine. But what you can do is commit to balance—an approach that prioritizes the health and wellbeing of your body without the burden of restriction. Somewhere in between traveling 20 weeks out of every year, regular workouts, studying nutrition, and spending time with the people I love most, I found my healthy rhythm, a commitment to designing a schedule that integrates healthy habits into my daily life. It wasn’t a linear path and truly I won’t claim to be a master. But what I do know is that understanding what makes my body and my mind thrive has been vital to my health and happiness. It became not just a priority, but a passion because I found a way to make it fun and positive and not a burden. Over the years, I’ve learned that the only way to maintain this way of life is to not be so hard on myself if/when I go off balance; I have created a path and I just get back on it. 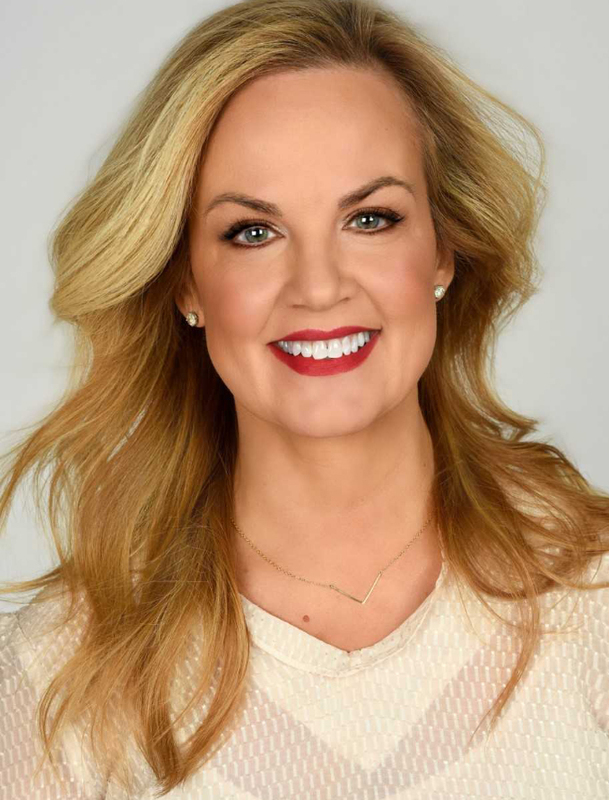 When I look back on my journey to reaching this point— to connecting more deeply with my wellbeing and my passion for wellness—four pivotal moments stand out. Years ago, I had a conversation with my older brother that got me into health coaching mode before I even knew I could become one. He was frustrated by how tired and bloated he was feeling every day and at a loss for how to feel better. As he described his eating habits to me, I was inspired to do some research and find substitutions for his unhealthy choices. And as he took my advice and leaned on me for accountability, guidance, and support, he started to feel better. Not only that, he started losing weight! At the time, I was just happy to help and didn’t even consider the fact that what I had given him was a bunch of coaching sessions. Since we were 20 years apart it gave us something in common that we started to bond over. To be honest, I think initially he was being polite and perhaps not taking his baby sister seriously. But then he started seeing and feeling results, and the rest is history. I remember hearing how excited (and shocked) he was and feeling so happy that I could help. I’ve trained for and run a couple of marathons to raise money for cancer research in memory of my dad and loved ones. Running wasn’t always a love of mine, although it was a passion for my dad. He ran 4 marathons in his lifetime and countless road races, including his annual run up Mt Washington. However, once I had a cause and started training, I developed a passion for it. I ran the Boston Marathon in 2010 & 2011. Although I worked with a great team on how to eat properly during the training period, I essentially created a burning metabolism and lost weight. This time I lost about 7 pounds and looked healthy and lean. The problem was, after running consistently every week for over 2 years, I kept up the same high carb, high calorie diet post-marathons. My metabolism naturally slowed down as a I burned calories less and less. And guess what happened? Weight gain. I learned that although running and training is such an amazing experience, the extreme cardio is not a sustainable way to keep your body healthy. Returning home from a business trip, I experienced a sudden intense pain in my chest, lost my voice completely, could hardly move my jaw, and was too weak to push my luggage. When I finally made it home, I called my doctor and her exact words were, “Get to the hospital, it may be your heart.” I couldn’t believe it. Here I was in shape, a fairly healthy eater. What was happening? Thankfully, after several hours in the emergency room and multiple tests I discovered that it wasn’t a heart issue, but a common form of indigestion known as Gastroesophageal Reflux Disease (GERD). (I know, it doesn’t even sound pretty). It was treatable with medication and cleared within a couple of weeks. The Doctor, suggested I stay on the medication, however, I did not want to be on meds if I could help it. That was when I got really curious about the role my diet had played in these symptoms and decided to change it all up and get clean. I went to a nutritionist, started a 30-day cleanse, and eliminated alcohol, caffeine, sugar, soy, dairy, wheat, and eggs, common allergens that cause inflammation and digestive issues. I worked with a health coach to figure out what I actually could eat and got great recipes, shopping lists, and educational tips. After 30 days I felt amazing, so I continued on for 60 days and then 90 days. My energy improved, my skin was glowing, I was sleeping soundly, and I lost a few pounds. Eventually, I would reintroduce some foods to my diet, but I remained committed to a clean diet. And never had to take the medication for GERD since. From there on out, I was hooked on healthy living and loved the challenge of figuring out how to stick to my routines while traveling for business. HOW DID I KEEP IT UP? I made it a priority to get a healthy breakfast every morning that both gave me energy and tasted good. I brought clean, nutritious snacks with me to the airport so that I was properly nourished in the terminal and on the plane. I let myself indulge in my favorite guilty pleasures—Fluff and Nutella—when I craved it most, because I don’t believe in giving up the stuff you love. I found pockets of time in my day—traveling or not—to hop on over to a nearby gym for a quick workout, yoga class, or do stretching and sit ups in my hotel room. And I continued to educate myself and make it fun; I attended the Natural Gourmet Institute for Health and Culinary Arts to sharpen my skills and learn the ins and outs of raw food. And I enrolled in a yearlong program at the Institute for Integrative Nutrition’s health coach training program. During this course, a light bulb went off and I realized I could merge my livelihood in hotel sales with my passion for wellness. Because truly as the experience with my brother’s health should have hinted, I love helping other people figure out how to make healthy choices. Cue the launch of Clean + True, a lifestyle brand and health coaching practice that’s rooted in the belief that perfection is not the way to “healthy,” planning is. And you can do it all with style. Global Strategic Account Director – Hotel Management Company: developing and driving strategy, analysis, and reporting in the Corporate Transient and Group Segments; specializing in the Consulting Industry. I Dedicate Clean & True to My Parents: Josephine & Charles Tierney. To my mother, I wish I spent more time with you in the kitchen and I am sure you would be shocked at how much time I now cook and found a passion for creating healthy meals. You were a strong, empowered woman before your time and I didn’t give you enough credit for that as a young girl; but as a grown woman I now recognize your incredible strength. To my dad, thank you for showing me how to make positive changes in my life despite any situation. Your endless love, support, work ethic, and strong commitment to both your children and improving yourself as much as possible is what truly inspires me every day. I am filled with gratitude for you both.